I have yet to find a daily planner that fits all of the needs above. It would be a huge planner for one, and overwhelming. 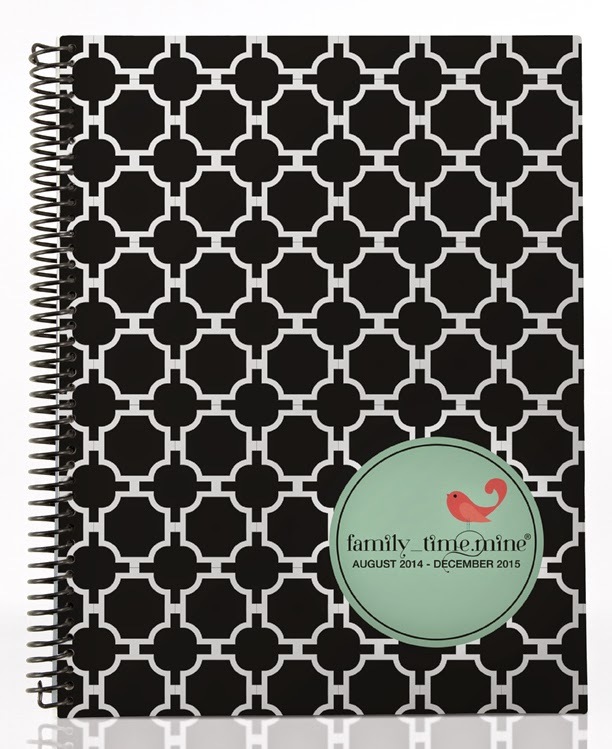 For the past 3 years I have been using a fantastic planner for blogging and personal appointments. The dot mine day planners have really met my need for organization. Last year I had to purchase my planner in a pdf format and have it printed at my local office depot. It was spiral bound, but printed on only one side. I missed the perforated notes section that I would often tear off with my to do list or grocery shopping list. I made due however and had planned to again go with the pdf. I was thrilled to see that they were printing bound copies again this 2014/2015 season! The dot mine planner on the left was my printed pdf copy, the one on the right is my new bound copy from this current year. You can still purchase the pdf copy and go that route, as some like to do. I love to have it all set for me to come in the mail ready to use. For me the convenience is so worth it! Dot mine sent me this gorgeous leather bound life_time.mine planner in Happy Tune blue. 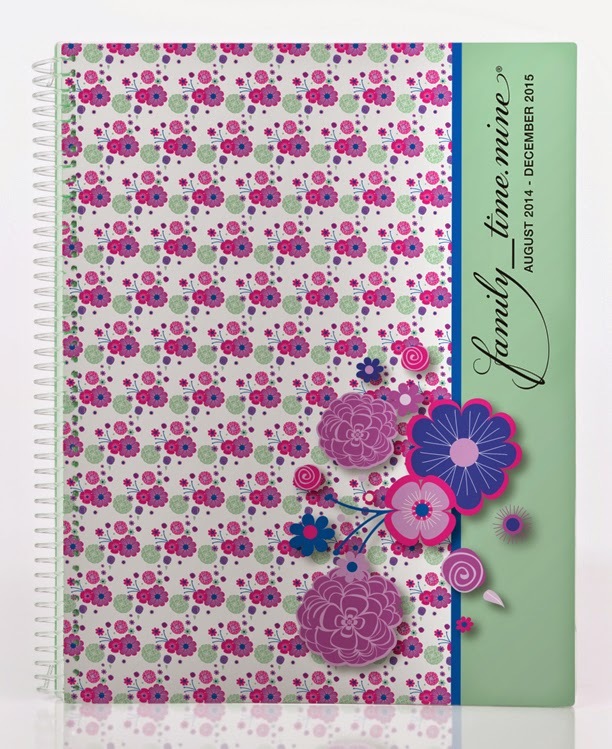 This planner is a titch smaller than the Family Time one I previously used, measuring at 7 by 9 inches. It still contains all of the vital squares and information, just in a smaller, more manageable size. The leather bound really gives it the professional edge as well. Perfect for work and blogging resources! A monthly calendar for a broad overview of plans. This is perfect for large blog hops, appointments, birthdays, etc that you want to capture earlier than the day of. My main focus is the weekly calendar where I put due dates for blog entries, as well as any appointments we have including practice times for the kids. This makes it easy for me to schedule appointments around our schedule. Easily fits in my purse to take to events with me. There is also a section for notes which I really enjoy. I love having the extra space to jot down things I don't want to forget. 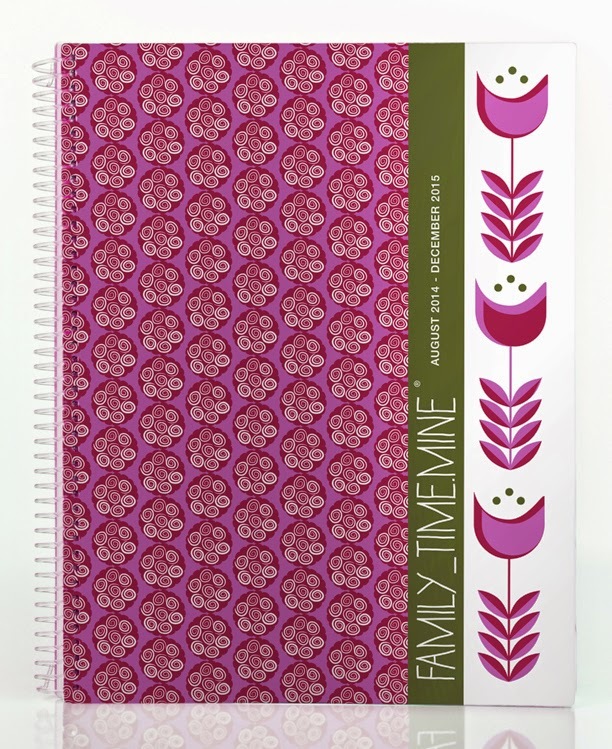 The Family_Time planner is 8.5 by 11 and comes in three beautiful covers. This continues to be my very favorite planner!! $12 for download. $24.99 for printed.